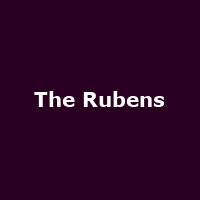 The Rubens are an award-winning Australian alternative rock band from New South Wales, formed in 2011. The band features three brothers: Zaac (guitar), Sam (vocals) and Elliott (keys) Margin and friends Scott Baldwin - drums and William Zeglis - bass. They released their debut, multi-platinum-selling eponymous album in 2012, followed by 2015's: "Hoops".